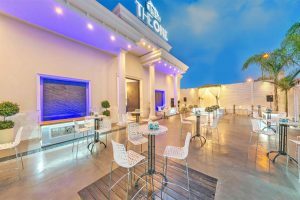 From your very first meeting with the staff of THE ONE you will feel in your bones the care, the skills, and the professionalism that will make your event perfect. An atmosphere of magic will wash over you on your very first visit to the hall. The cultivated garden, carefully crafted from a variety of materials and flourishing plants that together will enhance the important occasion you are celebrating. Alongside the magical atmosphere, we offer an unforgettable experience, our culinary adventure. Tastes will dance on your tongues from your first bite, and the memory will stay with you forever, as with any celebration. Throughout your event your guests will also enjoy the treats of our bar with a rich and varied selection of alcohol. The meticulous planning, the atmosphere, the food and the drinks, guarantee you an unforgettable event and a dream come true! The success of the event is the most important detail for you, the hosts. Therefore it is important that you feel you’ve chosen the perfect spot for your celebration and that all the tiny details are taken care of and are complete. We will guide you in finding the most ideal concept whether innovative and cool or classic and elegant. We can achieve what we dream together! THE ONE invites you to grow up together, because your dream is our reality. The age of Bar/Bat Mitzvah is a special age, when adolescents are sure that they are quite grown up and parents and adults are sure that they still see small children before them. Every youth dreams of a Bar/Bat Mitzvah celebration that is uniquely theirs, built on what they love. And you, the parents, want to teach the young that it’s possible to make dreams come true. At THE ONE we fully understand the situation, and we are here for you. First we’ll listen, we’ll learn what the dream is, and then we will move heaven and earth to help you achieve it. your dream to come true just as you wished! whether you are holding a Brit or Brita, in the afternoon or in the evening. Today, each family celebrates new life in its own way. Whichever way you choose, THE ONE offers the perfect event tailored for you. and create an unforgettable, once-in-a-lifetime experience. A business event, as opposed to a private occasion, is a complicated matter to prepare. When you plan a business event or conference you must cope with many difficulties while trying to produce an event at a high standard. THE ONE staff will be glad to assist you plan your business event for the win. 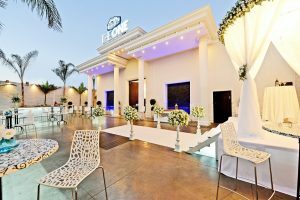 We at THE ONE will work with you to gather all the information and formulate a task list for your event. Together with you we will build the best layout, choose a varied menu, and take care of the infrastructure and technical details that you need. THE ONE staff is at your service, can find solutions to any problem, and will meet all of your expectations so that your conference will be as successful as you planned!